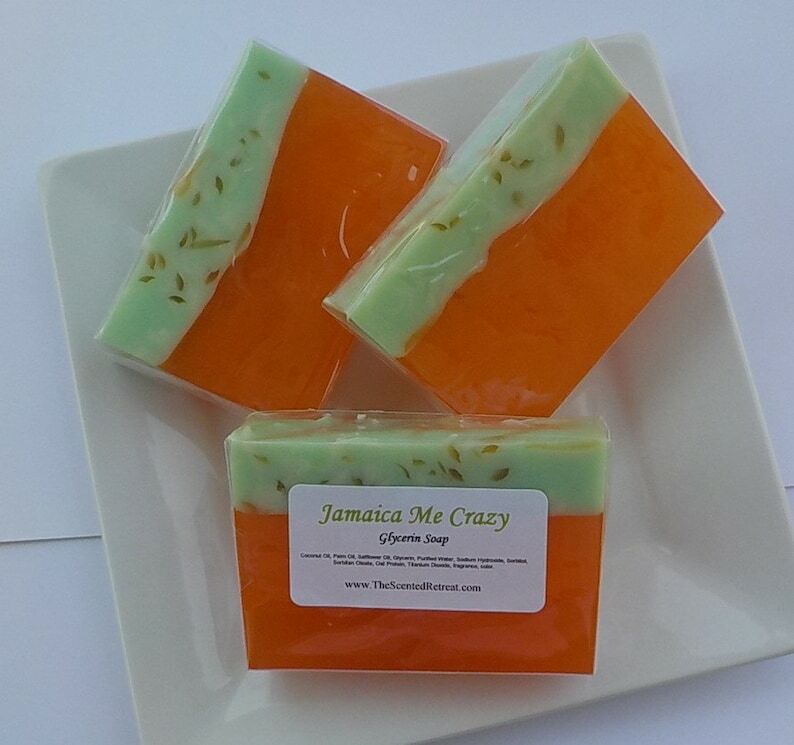 Jamaica Me Crazy glycerin soap. Wonderful sweet summer scent with blends of coconut, pineapple, rum, tangerine, banana, and melon. Super fast and wonderful customer service! The soap is awesome and smells great!